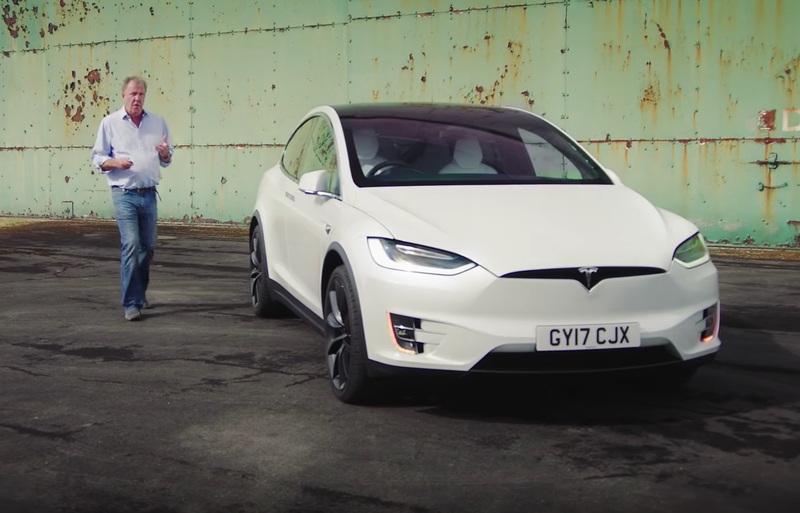 Jeremy Clarkson’s reviewed the Tesla Model X on The Grand Tour in the Season 2 Episode 10 was largely positive, with the veteran auto host lauding the SUV for its raw performance and features. 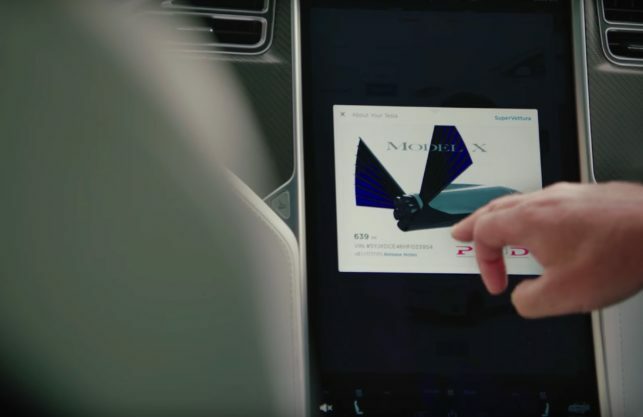 During the car’s segment on the Amazon show, Clarkson pointed out several of the Model X’s innovations that he particularly liked, including its Summon feature, its Easter Eggs, and of course, its insane acceleration. 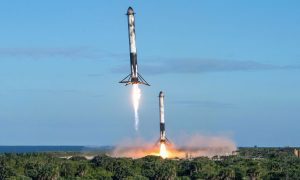 The segment began with Jeremy Clarkson, Richard Hammond, and James May explaining why they have not reviewed a Tesla in a while, citing the lawsuit that ensued after Top Gear’s arguably scathing review of the original Roadster. 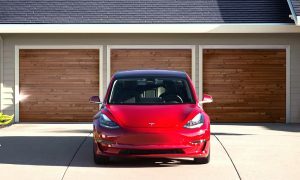 According to the hosts, however, Tesla has grown so much over the years that it is now pretty much impossible to deny the company’s presence in the auto industry. 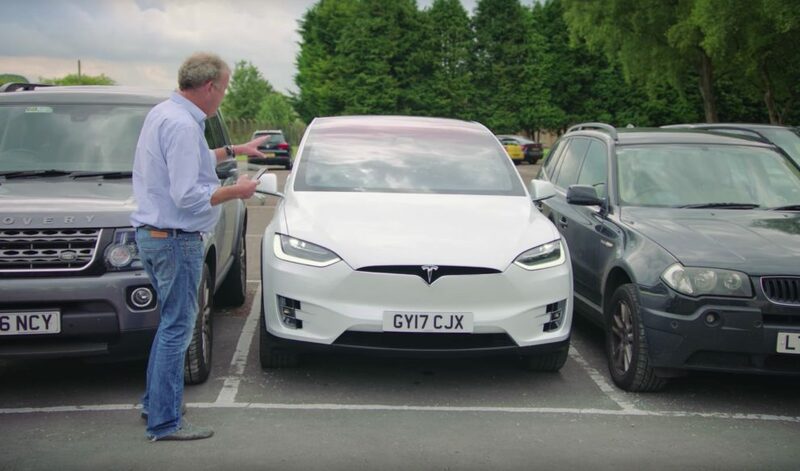 Thus, in The Grand Tour’s SUV-focused episode, lead host Jeremy Clarkson decided to check out if the Model X is a vehicle that he could like. As it turned out, he largely did. In the opening scenes of the review, Clarkson immediately applauded SUV’s looks and generous trunk and frunk space. He was also particularly impressed by the car’s capabilities, including the electric SUV’s massive 17-inch central touchscreen and the vehicle’s Summon feature. 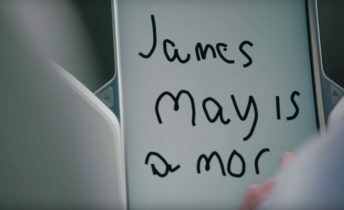 True to his statement late last year, Clarkson did enjoy a number of the Model X’s more unique features, such as its Mars map and James Bond Easter Eggs. 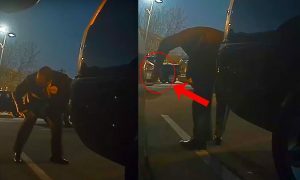 The veteran auto show host also took a particular liking to the car’s Autopilot software, which, according to the former Top Gear host, enabled him to do other things while the car was driving. 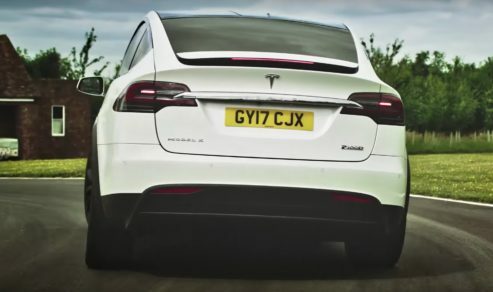 Perhaps what really brought a smile to Jeremy Clarkson’s face, however, was the performance of the Model X. Pitting the electric SUV against an Audi R8 in what appeared to be a quarter-mile race, the host was downright giddy as he raced ahead of the V10-powered, 600 hp, mid-engine sports car. 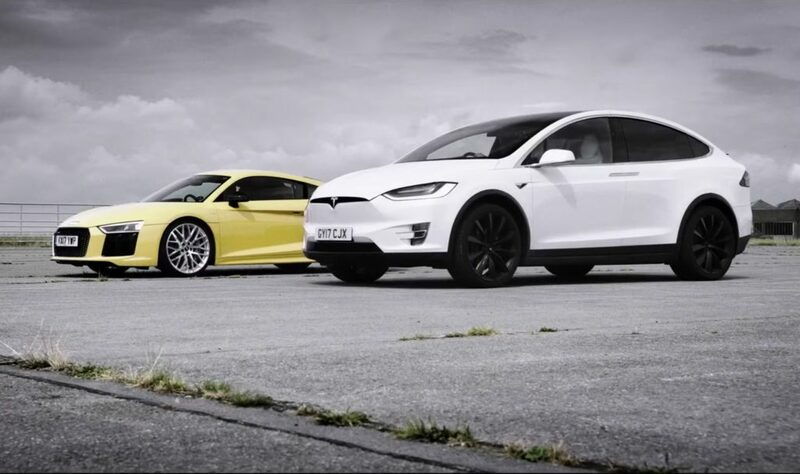 While the Audi R8 was gaining on the Model X during the final moments of the race, Clarkson was impressed by the electric SUV’s acceleration nonetheless. 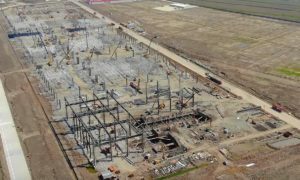 Summing up the car’s experience, Jeremy Clarkson was largely positive, stating that with the Model X, Tesla has created a vehicle that is unlike anything on the road. 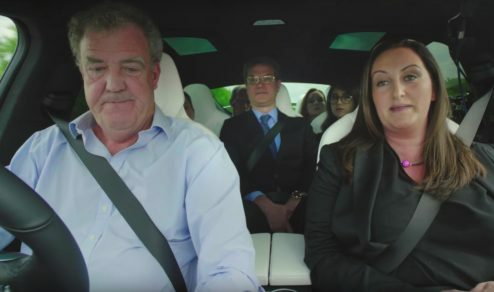 Clarkson, however, did express some of his reservations about the electric car, such as the limitations of its range and the fact that its battery can catch fire. Overall, however, The Grand Tour host noted that if he has one huge complaint about the Model X, it would be its cost, which is simply far too much for a vehicle of its class. Jeremy Clarkson and Tesla initially clashed ten years ago when the host, who was then working for BBC’s Top Gear, reviewed the original Tesla Roadster. During the segment, Top Gear alleged that the Roadster had run out of batteries and implied that it was an overall unreliable car. 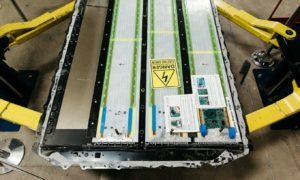 Clarkson, Hammond, and May were also largely skeptical with the electric car revolution, predicting that the trend would quickly die out. 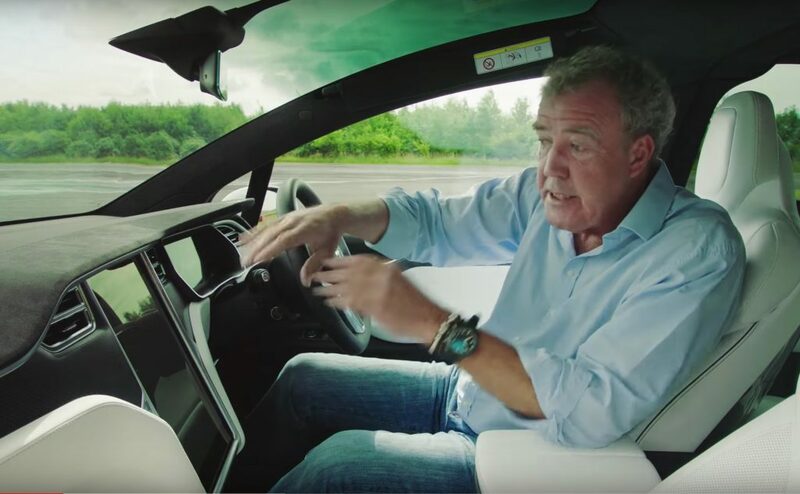 If the latest episode of The Grand Tour is an indication, however, all Jeremy Clarkson needed was to get behind the wheel of Tesla’s big, hulking electric SUV to properly change his mind. Watch the segment on The Grand Tour Season 2.